Fumigation is a Drywood Termite only termite treatment. The home is covered in heavy tarps and clipped together with industrial strength clamps. These heavy tarps, unfortunately, lead to roof damage for homes with tile. Sulfuryl Fluoride is the gas used in Fumigations. Sulfuryl Fluoride is an oxygen-displacing gas that kills via suffocation. One breath of this powerful oxygen-displacing neurotoxin and you will become unconscious. The problem with this treatment is that it only works for Drywood Termites leaving your home vulnerable to an underlying Subterranean Termite issue. 1 of 2 is a failing grade in my opinion. Spot Treatments are one of the more preferred termite control treatments outside of fumigation because of its ability to control Drywood and Subterranean Termites. My complaint against these types of procedures and the companies who provide them centers around their warranties and materials. Often you will find the local treatment companies warranty the areas of treatment, not the entire home. These leads homeowners into feeling nickeled and dimed as each new area discovered requires additional treatment at an additional cost. Spot treatments earn a failing grade in my book. 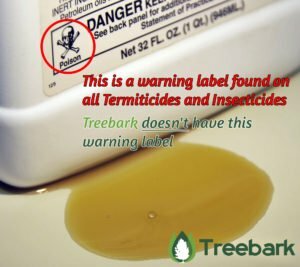 How Is Treebark Termite and Pest Control Different with The Treebark Treatment System? Our system incorporates elements of all common termite and pest control treatments to you in one complete system. All while using non-invasive materials safe for the kids and pets to be around. Our system does use the harsh pesticides. Our System Controls All the types of Termites not just one or the other. Our warranties cover the entire home from returning pests and scheduled (3x!) visits are free during the warranty period. Our competitors offer warranties on an annual basis often inspecting one time per year. 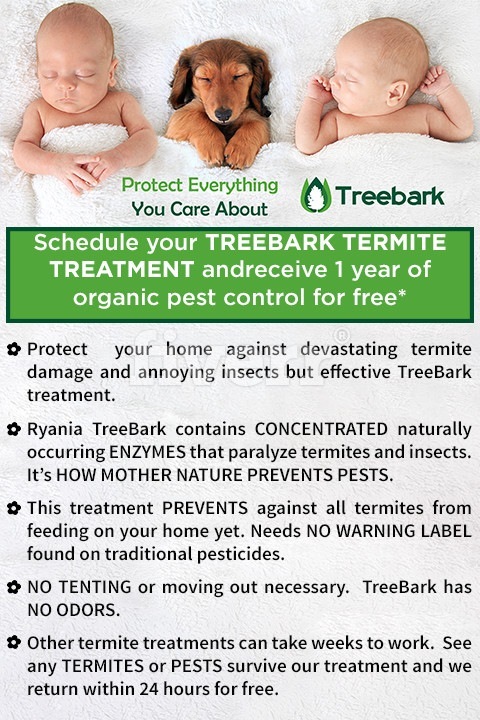 With Treebark, we see your home 4x a year to check and reapply the barrier. If you see anything throughout the year, we will send an inspector to identify and retreat within 24 hours!